Now that I’m a fully fledged London resident (something I realised today has made my car insurance cost £500 more than it did back in Reading … ouch! 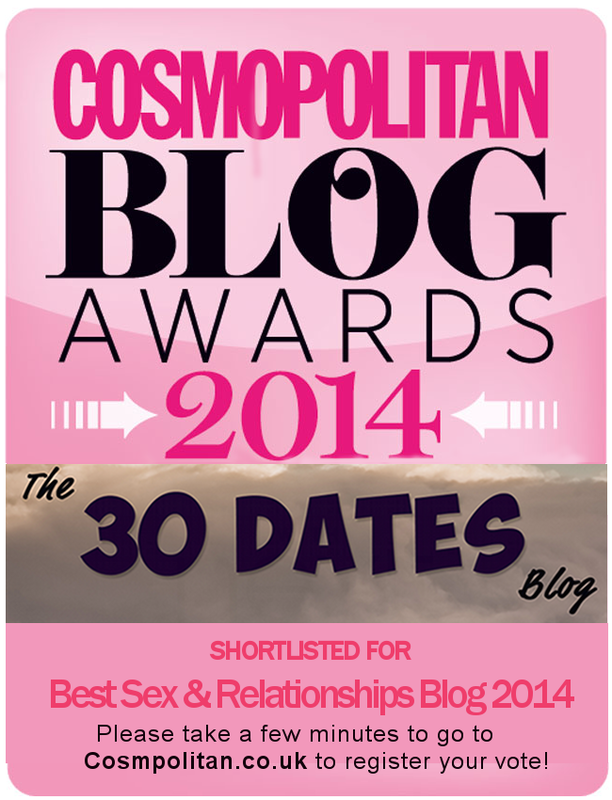 ), I’m even more keen to sniff out the best spots to go on a date in London. I’ve started doing a regular feature on the Guardian Soulmates blog called the ‘Soulmates Date’, which will showcase some date ideas, if anyone needs any inspiration. But, as the feature only runs once a month, I thought I’d also post some ideas for you on here each week. Despite my reputation as a serial dater, these days I barely have time for my own love life, so some of the testing will be done with friends rather than on dates (but, as you all know, my approach to dating is that any fun setting can make a good date). 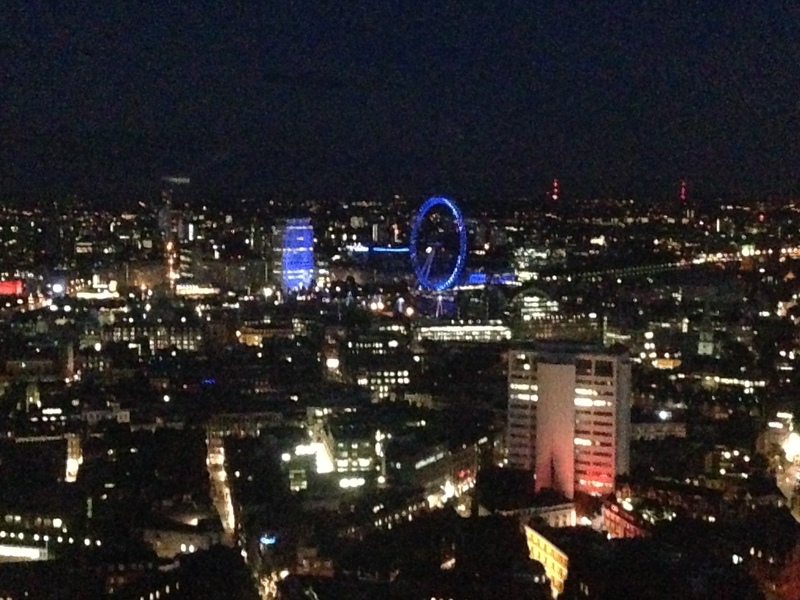 Nestled at the top of the CentrePoint Tower, I genuinely think Paramount has the best panoramic views of London. 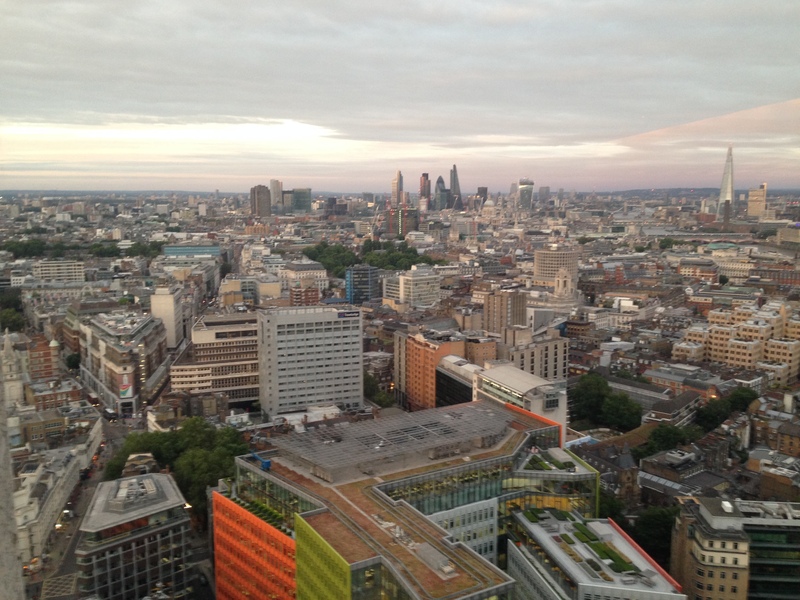 The beauty of its location is that rather than being in one of the beautiful towers like The Shard or The Gherkin, you can actually see them instead. 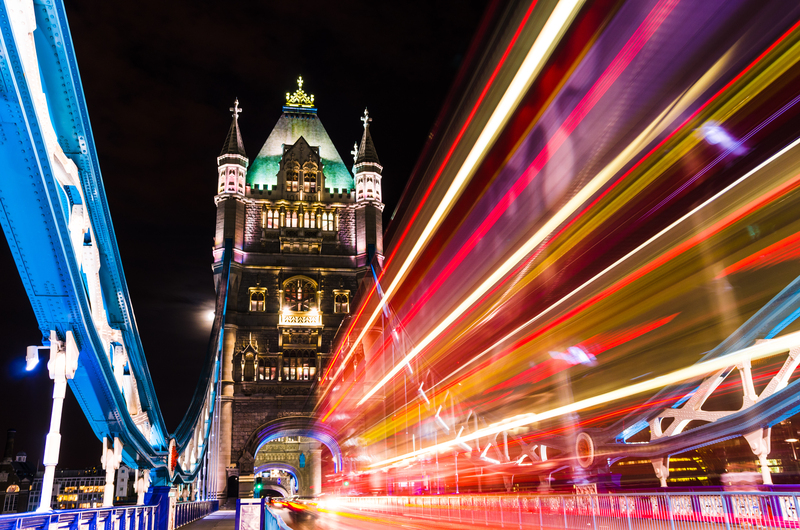 As night falls, you can also see the beautiful way all the bridges along the Thames are lit, and if you go for a drink or dinner in early evening, you get three different views of the city, as day turns into dusk, and then turns into night. I went to Paramount for dinner while I was supervising this month’s Guardian Soulmates Date, and the food was genuinely fantastic – I’d definitely go back again. I’ve been wanting to head to the Breakfast Club for some time now, and lunch with The Entrepreneur was a perfect excuse. No, this isn’t the Breakfast Club with the Mayor of Scaredy Cat Town speakeasy, but it’s a beautiful, relaxed place for brunch. I’m a sucker for a good Eggs Benedict (mainly because I can’t cook it myself! ), and we both ended up opting for their special eggs – Huevos al Benny! 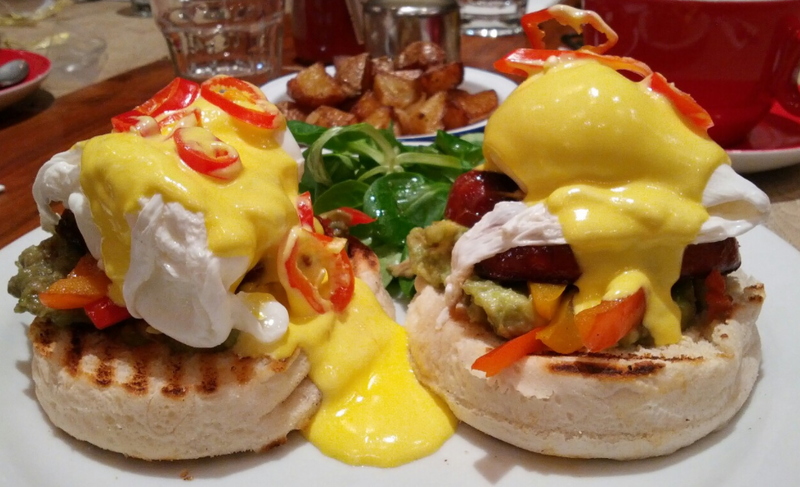 Poached eggs, chorizo, roast peppers, avocado, fresh chillies, spicy hollandaise on toasted English Muffin. Incredible! 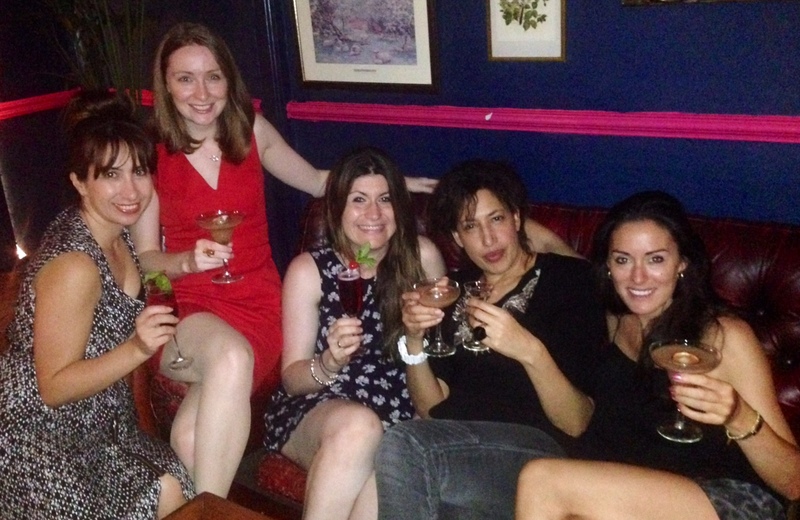 Last night I caught up with some of the female Titans, or rather Amazons, of the London dating scene, for girly drinks at the Grand Union Bar in Kennington. 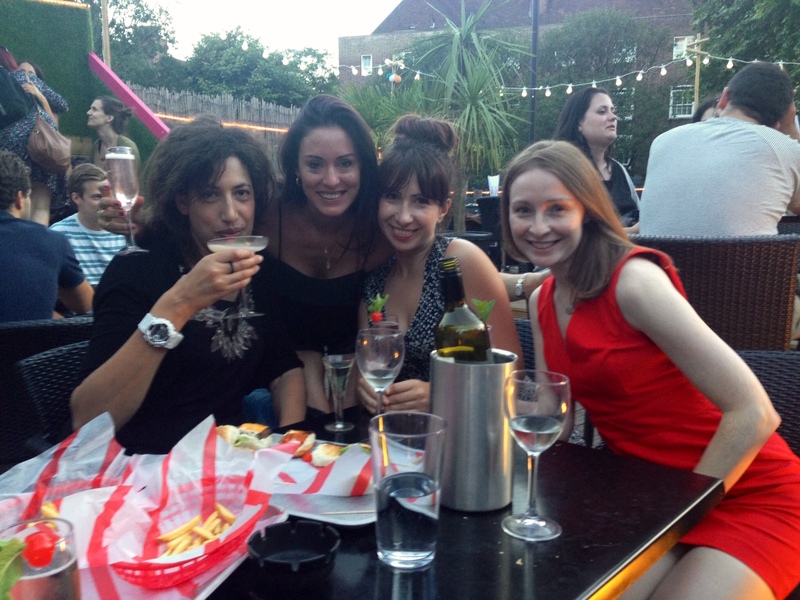 I met up with the gorgeous Saskia Nelson (the UK’s only professional dating profile photographer), Katy Horwood (the blogger behind the hilarious All Sweetness & Life), Alex Charalambous (otherwise known as Alexia Says!) and award-winning matchmaker Caroline Brealey of Mutual Attraction. The terrace was lovely, and perfect in the current London heatwave weather. The location was about a ten minute walk from Kennington Tube, and about five minutes from Lambeth North. I found the bar easily enough, and the table service up on the terrace was great. The cocktail menu was really extensive and varied, though our drinks did seem to taste very different each time we ordered them. 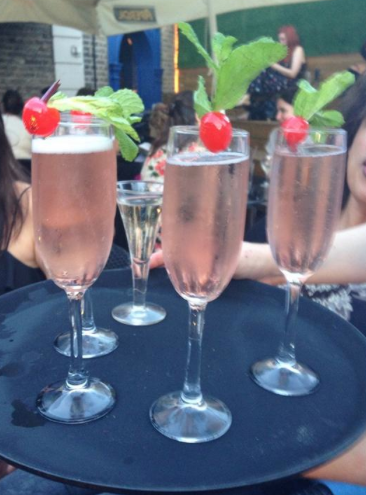 The first round of cherry Prosecco cocktails was perfect, but as the night wore on, the amount of cherry liqueur in them was definitely stronger (check out the colour of the drinks above, and the one in my hand below! Same drink??!!) , and the last round of Pornstar martinis was a bit of a flop. All in all, I would recommend it as a good place in that area to stop for cocktails, but I wouldn’t go out of my way to go back. Unfortunately my very first impression of the evening was trying to find the ladies loo, failing (FYI it’s on the first floor, away from the Gents and Disabled loos!) and then opting for the Disabled toilets. The floor was covered in water, and I got ‘caught short’ because there was no loo roll 😦 Not a great start to a glam evening!